+ Check out Soundfly’s brand new mentored online course, The Art of Hip-Hop Production, to learn the nuances of producing beats, arranging tracks, and creative sampling techniques in hip-hop’s various subgenres! Free preview here. Between the old-school sound of his debut album, College Dropout, in 2004 and the ultra-synthesized feel of his most recent album, 2016’s The Life Of Pablo, there aren’t many constant elements in Kanye West’s music. Guest appearances have come, gone, and returned, as have comedic skits along with the 808 drum machine. One element of West’s musical recipe, however, has remained consistent: soul-music samples. Just because West regularly quotes soul and R&B groups from the ’60s and ’70s doesn’t mean that the way in which he quotes them stays the same. In fact, while soul samples themselves have never really left the picture, how they’re used has grown more and more unpredictable over time. West’s sampling of songs with sociopolitical weight, like Marvin Gaye’s catalog, for example, has, over time, moved from harmonious use (integrating the musical and lyrical content of the original fluidly and multi-dimensionally into his track) to a more fragmented use (where the samples are augmented with added beats and synths, new tonalities, and markedly louder political messaging) as West’s own narrative began to deepen. This change in how smoothly West’s sampling is intertwined with its musical context seems to go hand-in-hand with West’s thoughts on race in America growing ever more public as his views become ever more confrontational and unapologetic. + Learn more on Soundfly: If you’re longing to enhance your skills as a hip-hop beat producer, we just launched a brand new mentored online course on hip-hop production called The Art of Hip-Hop Production. 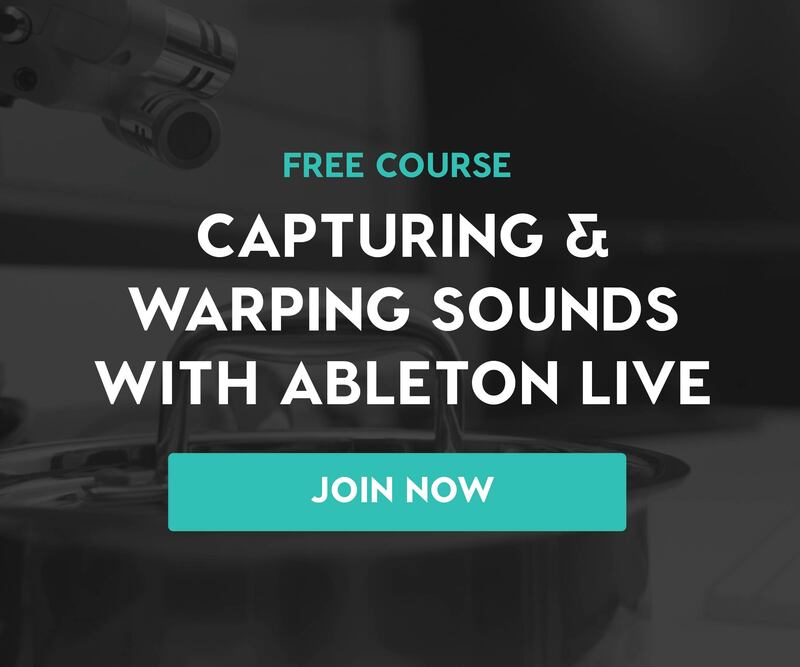 Check it out now and preview a full lesson for free! Over the course of this development, what we’ll see is that, at first, West’s tracks support the stories told within their soul-music samples, as if the samples themselves were vehicles for his own expression. By the time The Life Of Pablo is released, however, those samples are left to fend for themselves almost entirely. West’s desire to directly confront the power centers of white privilege and political standing has always constituted a latent, if not obvious, thread in his earlier works. What we’ll see over the course of this examination is that, eventually, lamentations like those on “All Falls Down” will transform into full-throated calls for active resistance and cultural rebellion — an evolution that can be heard quite clearly when we compare an early track like 2004’s “Spaceship” to a latter one like “Facts” from 2016. Here, West’s critique of race in America is delivered with a sideswiping smile, a snide grin that doesn’t fully own its critique. West takes shots at a commercial system that exploits Black buying power, yet continues to refuse its empowerment. At the same time, a sample from Marvin Gaye’s 1973 song “Distant Lover” is seamlessly integrated into the rest of the track’s rhythmic and tonal elements. The sample and West’s singing are in the same key, and the reverb, panning, and mixing effects are such that Marvin Gaye’s music feels as if it’s part of the same musical texture as the song’s electronic drum beat. Meanwhile, the Gaye sample appears consistently throughout the track in verses and choruses alike. Chaka Khan’s direction to go “through the fire, through the limit, through the wall” becomes the accompaniment to West’s own uplifting exhortations to the Black community. Here, West’s hopes for his community are again presented without direct reference to any obstacles from an oppressive establishment standing in the way; they’re implied. “I Wonder,” from Graduation, arrived in 2007, a midpoint of sorts between the release of College Dropout in 2004 and Yeezus in 2013. It’s here that we begin to see changes in the way he uses samples musically: more frequently departing from their original keys, as well as varying the loudness of the political messaging inherent to the original samples, often accompanied by further amplification on West’s part. The use of soul music samples continues — in this case, Labi Siffre’s 1972 track “My Song” — yet, he has now placed that sample alongside huge synthesizers and sharp electronic keyboards, a far cry from the warm, string textures and acoustic drums of College Dropout. Musically, however, the two are still pretty connected. Siffre’s sample makes up the main sonic building block of the chorus, and the song remains in the same key as the original track, C Major. Then we get to Yeezus. Here, West seems to have lost all interest in matching keys, integrating samples into his beats structurally, and creating respectful space in the sonic environment for the samples to inhabit. Song snippets are relegated to wide-channel panning, subjected to strange reverb environments, and generally mixed away from the base elements of the beat. One such example of this is on “Blood on the Leaves,” where he samples Nina Simone’s rendition of “Strange Fruit” from 1965. The Simone sample that begins the song enters on a chord built on the root note of A, but when West’s synths come in at 1:07, they firmly reestablish the track in the key of D minor. Simone’s first few vocal melodies are in a key that is separate from the main harmonic home of West’s song. Additionally, Simone’s vocals are never integrated firmly into the mix — they are mostly left unmixed and unbalanced, panned in a strongly uneven manner off to the far left. This is pretty much the complete opposite of what we heard on, say, “Through the Wire” or “Spaceship,” both indicative of a lighter production fingerprint. West’s meditations on dating as a celebrity have little to do with Simone’s meditations on America’s ugly history of lynching, and that’s the entire point here. He’s leaving the samples behind in his wake, removing the integrated roles of support they played in his earlier productions. But let’s not sell West short; he’s more clever than that. These soul-music samples aren’t just part of the music, they’re part of the story of his life, and they always have been. West’s vocalizing of racial issues in America, his vocalizing of petty celebrity social affairs, his rapping over a sample, and then a few years later, chewing up a sample and spitting it out are all devices in West’s musical life story. They’re all weaved together for him. The fact that West’s soul samples, with each successive album, begin to fit less and less within the musical contexts of his tracks — in terms of structure, key, and acoustics — means that they’ve taken on a significance that goes beyond pure music. West’s sampling techniques on The Life of Pablo are the most potent examples of this, and “Facts” is probably the best example. Unlike “Blood on the Leaves,” the soul sample on “Facts” is only ever heard in the song’s very short intro and outro and never during one of the song’s longer verses or choruses. In terms of the harmony, well, the original sample and the track have never been more distant — the former in B Major and the latter in E minor. By now, West is leaving the sample completely on its own, like an interlude dressed up like an intro and outro. Or does “Dirt and Grime” actually introduce context into the song itself? All of West’s lyrics in “Facts” are seen through the eyes of a musical group that laments “The pain of a brother, look how far we are.” Whether he is boasting about his shoe sales, clowning LeBron, or bragging about how hot his girlfriends are, West doesn’t seem to be able to escape the racial struggle, the origin of which is the same reality Father’s Children sing about. In this way, in 2016, West’s soul samples assume the role of chapter titles, immediately orienting the listener to an incredibly specific time and place. West’s public quotes on race, outside of his music, have, in contrast, almost always remained confrontational. Whether calling out George W. Bush in 2005 for “not caring about Black people,” or cutting off Taylor Swift at the 2009 Grammys for winning an award that he thought should have gone to Beyoncé, since she “had one of the best videos of all time!” It seems that, by 2016, his lyrical expression of race inequality had finally caught up to his explicit public thoughts on the topic. At this time, West’s soul sampling has become the orientation through which all of his stories are experienced, even as they begin to occupy ever more fragmented parts of his structures (like intros and outros), keys (like minor dominants), or mixes (like unbalanced panning). It seems safe to assume, then, that soul music for West has always occupied a multi-faceted place in his upbringing, influencing him not only musically or politically but in a myriad of subtle ways that he’s only beginning to acknowledge with the past couple of releases. This is sure to make his fans hungry for whatever new sampling technique he’ll try on his next album. Invest in yourself with an online course with Soundfly. All of our mentored online courses come with six weeks of 1-on-1 professional coaching and feedback on your work. It’s like having a personal trainer, but for music! Whether you’re interested in taking a deep deep into production-related topics like Beat Making in Ableton Live, Making Music in Logic Pro X, or the newly launched Art of Hip-Hop Production, or just want to work with a Mentor directly on a personal project, we can help you reach your musical goals!